Assume control over a brutal creatures and hunt the city for new victims that you can eat. Enjoy this! 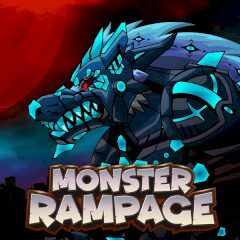 Get three stars for destroying cars and eating people as a huge monster creature. Kill police officers and get points quickly. You must get three stars at the end!